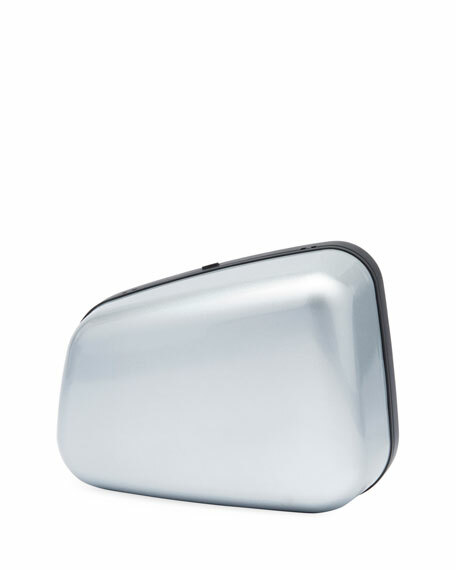 Balenciaga metallic aluminum clutch bag. Approx. 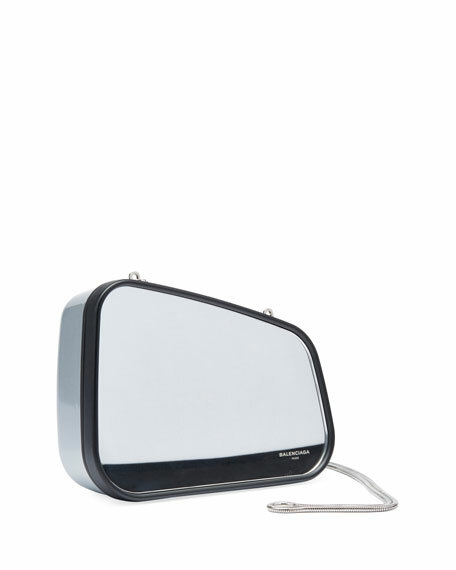 5.5"H x 7.5"W x 3"D.
Chain shoulder bag can be tucked inside. For in-store inquiries, use sku #2265594.